Mahindra and Mahindra's subsidiary Mahindra Electric Vehicles Ltd has finally launched India's first electric car named as Mahindra E20 which was earlier dubbed as Reva NXR. This car will be assembled at Mahindra's new facility on the outskirts of Bangalore. Renewable sources are on a verge of extinction and the world is exploring a good alternative to petrol and diesel for running the automobiles and which can keep the environment safe. With the recent shift in the electric cars every company around the globe has started coming up with electric cars which will be soon the future of the automobile world. The beautiful Mahindra Reva E20 from the Mahindra cars barn is designed by DC designs and will be highly efficient and comfortable. The car will house lithium ion batteries which would produce a peak power of 39.4bhp. It takes up 8 hours time to full charge the battery and i can run for 160km in a single charge which is quite impressive. The car comes equipped with energy management system which enables car to tell about the exhausted energy. The lithium ion batteries under the hood also give good power and impressive acceleration and pickup. The batteries get 80% charged in 2.5 hours and there is a 2% energy discharge while the car is in the stands or in a traffic jam. It also comes equipped with a backup charge facility. 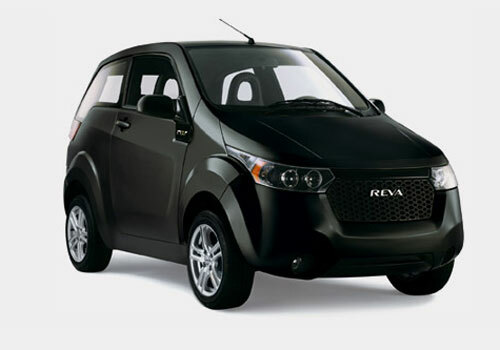 The Mahindra Reva E20 pictures appealing, stylish and smarter looks. DC designs has given a fine compact and sophisticated design for grabbing everyone's attention on the streets. Front fascia houses a hexagonal honey combed grille with the REVA badge in centre. The grille separates the two sleek headlamps. The car has got body colored bumpers and on the side profile expressive wheel archer give the car a distinctive look. Mahindra Reva E20 features an improves interior as compared to the Reva NXR. The high quality upholstery and cushion seats give an appealing comfort to the passengers. The two do hatchback easily adjusts four people with ample of legroom and headroom to give a comfortable and spacious ride. The interiors are sophisticated and feel very posh with the black colored plastics and fine headlining. The leather seats add to its charm and provide a feel of luxury and better posture on long journeys. The foldable rear seats provide enough space for luggage. The car gets some nice accessories like electronic infotainment, tachometer, speedometer, durable squads, and an integrated CD player. 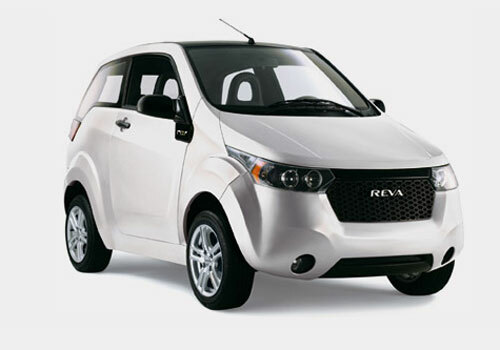 Mahindra Reva E20 price is Rs 6 lakhs and it is quite affordable and this is surely going to bring a tough competition to Nissan Leaf. Mahindra cars, Mahindra Reva E2O, Mahindra Reva E2O price, Mahindra Reva E2O features, Mahindra Reva E2O pictures.